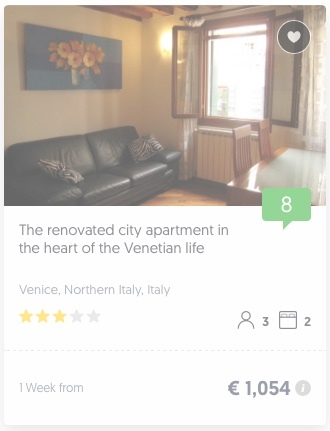 Want to make a reservation for a holiday home Venice? It's as easy as booking a hotel. 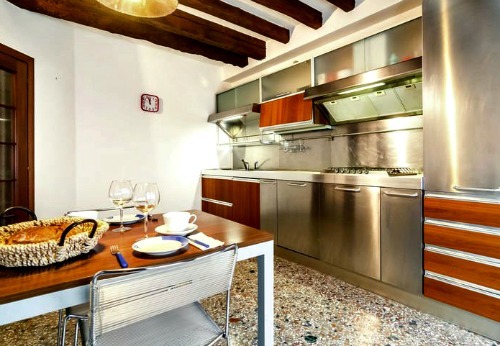 With the length of the rental period, a holiday home in Venice is cheap! Ideal with larger groups, families or even couples. It gives you the freedom to cook your Italian food and feel like a local. The minimum stay at a holiday home is three nights or a week. Therefore, I have tips for homes in central Venice and outside the city as well. Okay, a Venice home is unique. You feel different. Now, let's get it cheap and the right accommodation at a great location! 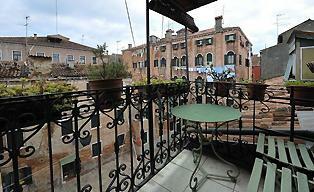 Great Last Minute Deals or often hard to find if you are looking for a holiday home Venice. I'm a fan of Belvilla.com! They have Well-equipped accommodations in perfect locations. And yes, sometimes a little bit far away from Venice, but still in the Veneto area. And look at the discount offer - Apartment on a Vacation Island in the Gulf of Venice! Which area in Venice? There are homes and apartments for rent in different districts. Discover the lively Dorsoduro district or the apartments around the Rialto. Venice has many affordable studios and apartments... And for beach lovers, you rent a holiday home on the island of Lido. They have some great beaches. And yes, also holiday homes at the beach. Center (San Marco district): A lively area in Venice in the midst of the noise and tourist atmosphere; San Marco Square in Venice. Castello: In an area just outside the tourist stream. But ideal to do everything within walking distance. Cannaregio: In a beautiful area on the north side of Venice. With the vaporetto, you are close to the San Marco Square or 3 minutes walking distance the Rialto area. Check out this good-sized apartment with 2 floors near the Rialto. Santa Croce: The neighborhood has beautiful squares for a delicious cappuccino. San Polo: Easy to reach from the Grand Canal. This neighborhood is ideal in the center of Venice. Venice Lido: Good location on the island on the opposite of Venice. With the vaporetto boat, you are in Venice within 10-15 minutes. Giudecca: On a quiet island near San Marco Square and easily accessible. Dorsoduro: Beautiful neighborhood. The Peggy Guggenheim and the Gallerie dell 'Accademia are nearby. Holiday homes in the Venice area are prevalent. Especially to family's who wants to enjoy their holidays for two weeks. This region of Italy has some fantastic Holiday homes. Do you think the city of Venice is fun, but not for overnight? Escape from the hustle and bustle to rent accommodation in the Veneto region. The Veneto area has many possibilities. There are outdoor activities for every family member, regardless the time of the year. Holiday homes in the Veneto are close to beautiful sights, the Dolomites, the Alps and Venice itself. Besides, with a holiday home, you have the freedom to visit some beaches and historic cities, such as Verona and Treviso. 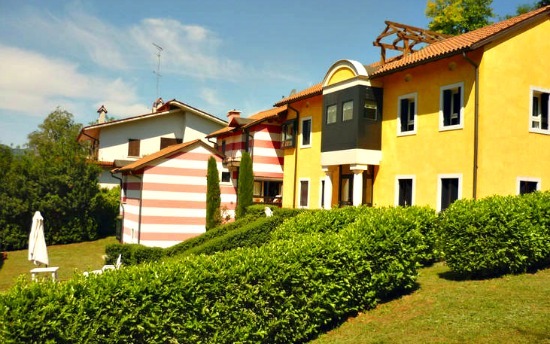 A holiday home in the Veneto area will make it possible for you to discover the fascinating region. You have read about how I experienced a Holiday Home Venice in Italy. There is enough to choose from, as you can see. Please click on the links to explore my site more.